In today’s market, product innovation alone is not enough. Amazon may have taken some critical heat over its latest Kindle, but the product reveals an interesting approach by the company’s CEO. “Some of the companies that have made tablets have not been successful because they made tablets,” Jeff Bezos said. “They didn’t make services.” That statement is an acknowledgement of the growing value that can be derived from service-based business models, rather than from product innovation alone. Incorporating services into traditionally product-centric “design, manufacture, market” models–or replacing the product entirely with services–allows companies to create value for their customers as well as their shareholders. Besides creating new revenue streams, services can dictate higher margins, because they are easily scalable with minimal variable costs. Additionally, whereas the ownership of the customer experience ends at the point of sale for product manufacturers, service providers have more control over the delivery of customer experiences and are therefore better positioned than the competition to react to consumer needs. There are many instances of companies differentiating themselves from the competition by adding service features to products. An interesting example of this trend is the Garmin Forerunner watch. 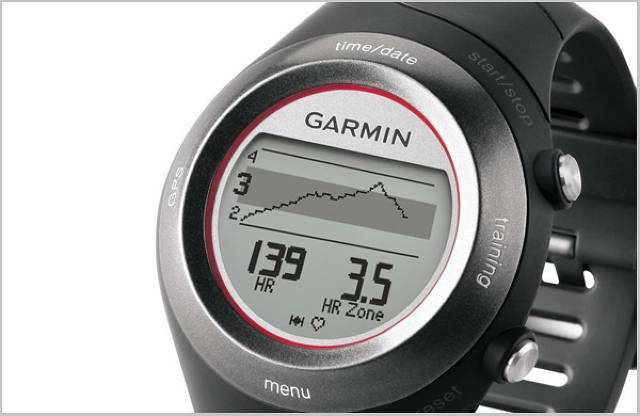 The watch itself is sophisticated–using GPS technology, it can tell you how far and how fast you’re running, as well as your heart rate and other metrics–but it is the accompanying online service, Garmin Connect, that creates a compelling, unique consumer experience, allowing users to analyze and share their data with each other via multiple channels including email, Facebook, Twitter, Digg and Delicious. The popularity of its service has enabled Garmin to assert itself as the global leader in personal-navigation-device sales. OnStar, a car-breakdown recovery and emergency service available only in GM vehicles, recently expanded its reach through a standalone rearview mirror. The only characteristic distinguishing the product from other such mirrors is its access OnStar service, which drives adoption among those users who don’t drive GM vehicles. Generally speaking, service-enhanced products command premiums and deliver superior customer experiences compared to their product-only analogs. Another alternative to the traditional model of designing and manufacturing a suite of SKUs is to allow the consumer to become the product designer of customized products made to his or her specifications. This type of service offering is compelling for the customer because of the emotional attachment he or she develops with a product they had a hand in making. Snapfish is perhaps the most representative example of a service that allows consumers to create a truly customized product. Owned by Hewlett-Packard, this web-based photosharing and printing service lets its users create a veritable marketplace of goods, from books and calendars to clothing and jewelry. Other examples include “brew on premise” beer companies, and various manifestations of that idea in the fashion industry. 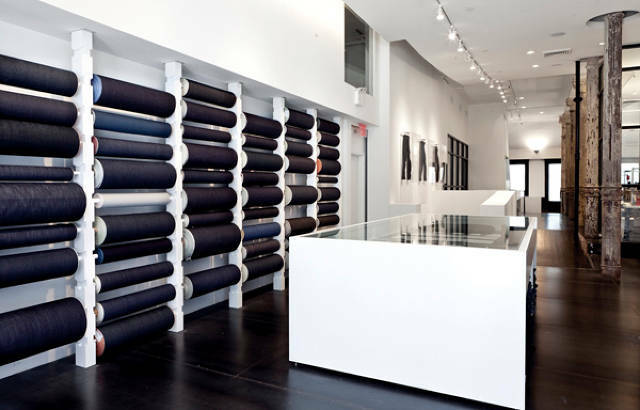 New York’s 3×1 Made Here denim company is one of the many examples of high-end, niche players enabling consumers to design their own clothing, but mass market players are entering the fray as well. The world’s largest sports apparel manufacturer, Nike, allows customers around the world to customize a range of footwear, equipment, and apparel through an online portal or smartphone app. Through NikeiD, visitors can scour galleries for inspiration, share their customized designs via social media platforms, and save works-in-progress to their “myLocker” account. These innovative offerings exemplify additional ways in which services create value around products through engaging customer experiences. The end product does not necessarily flaunt additional features or function better than an off-the-shelf product, but it connotes a memorable experience that is unparalleled in the retail environment; as much as it serves a functional purpose, the product tells a story. Do Your Products Even Need to Exist? Over the last decade, particularly in the media industry, services have replaced traditional products. Such media as CDs and DVDs used to be a physical product purchased from a retailer, but digital service platforms from Amazon, Apple, Netflix, and others have since eliminated the need for such products, while delivering additional benefits to consumers. Apple’s iTunes and App Store, Amazon’s Kindle eBooks, and the Roku digital media player are examples of digital service platforms–accessed via consumer electronic devices–that generated new, high-margin revenue streams for their respective companies, while simultaneously creating more seamless and engaging experiences for the consumer. These services aren’t just killing retail sales of products; they’re rewriting the rules of engagement, especially for consumer electronics manufacturers stuck with low-margin business models in highly competitive markets. Shared access and pay-per-use service models offer consumers a compelling alternative to the burdens of outright product ownership–such as maintenance, security, and a large up-front investment–by allowing them to rent the products they need, on demand. For example, Zipcar’s 650,000 members have access to a fleet of more than 9,000 vehicles, billable by the hour, including gasoline and insurance coverage. 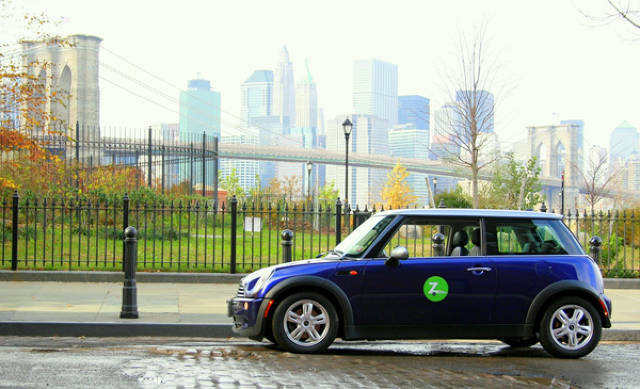 The Zipcar service presents a viable and significantly cheaper alternative to full-on ownership and addresses its customers’ basic need for a car in certain situations, whether it’s a trip to Ikea or out of town. Data streams created and analyzed by these innovative services allow for the implementation of real-time modifications reflecting market intricacies and individual user needs; for example, urban bikeshare systems can display current bike inventories via smartphone apps and inform the system’s managers when the bikes need to be redistributed. Whether eliminating the need for a product or functioning as a distinguishing characteristic of a product, services offer convenient, reliable, and engaging customer experiences that challenge the dominance of the “design, manufacture, market” product model. Firms should look at services as a means of distinguishing themselves from a field of object-centric competitors and learn the methods of service design that will enable the conception and execution of compelling and effective user-interaction experiences.